Many writers claim you don’t necessarily need to visit the settings depicted in your work, but for me, it’s a good excuse to travel. Perhaps my most memorable “excuse” came when I was researching a novel involving British prehistory and, for one chapter in particular (published as “Ultraviolet” in Superstition Review), some archaeological sites in Orkney. But as an American resident of Edinburgh, known as “The Athens of the North” for its role in the Enlightenment, I had developed a tolerance for such extremes. And I was curious about Orkney, a group of over 70 islands teeming with prehistoric sites that are reputedly the best-preserved in Europe. I had seen photos of the Ring of Brodgar and the Stones of Stenness, less famous cousins of Stonehenge. I had heard stories about Neolithic tribes, Picts, Vikings, and, most fascinating of all, sailors from the Spanish Armada who had survived a shipwreck off the coast over 400 years ago and gone native, leaving behind a strain of conspicuously dark-eyed Orcadians. Pompeii? Ok, it wasn’t exactly Hawaii. But I imagined a volcano smoking on the horizon. I loaded my bicycle into my car, drove it onto the ferry—let’s call it “The Pacific Princess of the North”—and braced myself for a seven-hour roller-coaster ride. My objective was to visit as many prehistoric sites as possible and, since it was late May, use my bike as much as possible while doing it. I had filled an entire suitcase with thermal layers and raingear. But as we left port, the sky was suspiciously clear. The sea was smooth as glass. Instead of clinging to the bulkhead for dear life, I was standing at the rail with a pint of ale watching the sunset at 10 pm. The Mainland, as it is known, is the largest island and the home of the local government. The streets of Kirkwall, established by Norse invaders during their 600 year reign, were built narrow against the infamous wind. After some wandering, I managed to find my hotel only to discover Robert, one of the co-owners, tending the bar instead of the reception desk. His attitude, at least, was in the right place. The accent made sense. And so did the outlook. I had been told that the inhabitants of Orkney, separated from the countries that governed them over the centuries, had a distinct sense of identity. They consider themselves Orcadians first, Scots second. What Americans might call The Texans of the North. Except this wasn’t Texas weather. I glanced out the window again. I scanned my list of prehistoric sites and noticed one that was far away and relatively isolated from the others. An outlier. A distant target. A good excuse to drive instead of bike. It was called The Tomb of the Eagles: a Neolithic chambered cairn that was found with over 16,000 human and 725 eagle bones inside. These weren’t intact skeletons, but remains that had been disarticulated by way of a prehistoric practice known as excarnation. In other words, the corpses had been left exposed until they were stripped by animals, then deliberately cracked apart and interred. Archaeologists are still puzzling over exactly what sort of religious practices were involved, let alone the beliefs they signified. Photos of the tomb at the time of discovery show skulls arranged on stone shelves, along with an ankle-deep mix of ribs and femurs and tarsals, not to mention eagle talons. But this was still 22 miles away. Wipers clicking, I drove across several islands linked by causeways known as the Churchill Barriers, constructed to thwart the Germans during World War II and still displaying the occasional mast or rusting bulk of a ship scuttled to block passage. A different kind of excarnation, perhaps. Signs pointed beyond sheep pastures to the visitor’s center, where I checked in for a hands-on tutorial of the various relics. The Tomb of the Eagles is privately owned, staffed by guides who take an interactive and somewhat playful approach. I was encouraged to hold stone tools, to feel the contours of ancient bones, and peer closely at the upper molars of a skull that had chewed its last meal 5000 years ago. Then I went off to the tomb itself. I followed the path through fields and along a headland with the North Sea churning at the cliffs below. It was a grassy mound about the size of an RV. The passage into the tomb was low and narrow, requiring a hands-and-knees approach—a common Neolithic feature. In this case, though, the owners had strung a rope along the ceiling of the passage, with a trolley on the floor that a mechanic might use to slide underneath a car. I glanced around nervously. I was alone. The sea crashed and heaved at the base of the cliff. Then I crouched down and pulled myself in. It was empty, of course, with vacant side cells and a roped-off corner that was considered unsafe. And the original roof was gone, replaced by a concrete dome with skylights. It should have been a letdown. But I thought of all the hands that had stacked the stones, the regiment of skulls, the scree of bones on the floor. I imagined darkness, the air heavy with death. And those eagle talons. Had bodies been exposed on the nearby cliffs for the eagles to pick at? And had those very same eagles been captured afterward and sealed in the tomb? I realized this was the nature of the Neolithic—or at least the nature of the Neolithic for us. They took everything apart without leaving instructions for putting it back together again. If you want your history intact and obvious, look elsewhere. This was an imaginative puzzle. Some assembly required. As I walked back along the cliffs the weather began to lift. I checked my watch. Noon. With this confirmation of the farm report, I drove back toward the Mainland and my appointed tour at Maeshowe, the “finest chambered tomb in Orkney,” which turned out to be another grassy mound, but larger. I was beginning to get the picture. Maeshowe, though, has special significance. It’s located on a low stretch of land surrounded by hills—a natural amphitheater—within sight of the Stones of Stenness, the Ring of Brodgar, and the Neolithic village of Barnhouse. And it’s impressive. A guide led a bunch of us down a passageway set with gigantic flagstones into a main chamber about 15 feet high. Still fresh from the Tomb of the Eagles, I recognized the look of the place. The same architect? This tomb, however, had been looted and vandalized long before discovery by our enlightened civilization. The chambers were completely empty, the walls covered in places with “runic inscriptions”—i.e., Viking graffiti. There are references to treasure and, shall we say, unprintable activities. “Many a woman has gone stooping in here,” one of them reads. “Thorni bedded. Helgi carved,” reads another. But probably the most remarkable feature of Maeshowe is the alignment of the tomb itself. For several weeks before and after the winter solstice, the sunset shines directly down the passage and illuminates the back wall of the chamber. Historic Scotland, which manages the site, maintains a webcam for those meek souls who want to witness it but don’t care to travel to Orkney at a time of year when dusk occurs during lunch. I emerged to find it raining again. I pulled up my hood and hiked over to the Stones of Stenness. I crossed the bank and ditch and made my way over to the nearest of the slabs. Originally there had been 12 of them. Now there were only 4. But they had character—thin, sharp, with oblique angles that gave them a certain geological nobility. And there was a central hearth: a stone box set in the ground, where fires had burned for ceremonial rituals and feasts. I looked down into it and imagined heat. The rain stopped. The clouds parted. The sun shone. There was only one thing left to do. Skara Brae. Can you handle the truth? It ain’t Pompeii. But consider this: we’re closer in time to Pompeii than Pompeii was to Skara Brae. In other words, it’s more than twice as old. And there it was, built into a midden, which today serves as a kind of viewing platform surrounding the houses. The roofs are gone, allowing visitors to peer down into the structures. Walls, hearths, beds, dressers—all made of stone. I could go on and on, but you get the idea. Tombs. Standing stones. The remains of Pictish or Viking (or both) hill forts. Wind-swept hills and roaring sea. And it was research. Really. These details are coming to you courtesy of copious notes and photos I took in the field, not to mention hours of additional writing at the hotel every night. That said, it’s hard to claim any scholarly merit in visiting Highland Park Distillery or the restaurants of Kirkwall, one of which served a prime Orkney fillet steak with pan-seared queen scallops in a light whisky sauce, a kind of locavore extraordinaire, while another, called Dil Se, identified itself as “The Finest Indian Cuisine in Orkney,” which seemed like boasting the Best Mexican Food in Moscow. Or maybe the Tex-Mex of the North? But the saag balti and lamb tikka was worthy of any hemisphere, as was everything else about Orkney. As I boarded the ferry back home, I realized the last place I had enjoyed this much was another group of islands I had visited many years ago. What was the name? Ah yes. Hawaii. The Orkney of the South . . . But that would be a much more expensive novel to write. Today we are pleased to feature Daniel Aristi as our Authors Talk series contributor. In this podcast, structured as an interview, Daniel reflects on how his nomadic lifestyle has influenced his writing, as well as how different languages (his native Spanish and French, as well as his acquired English) interact during his writing process. Daniel also comments on the inspiration behind his poems in Issue 18 and discusses his unconscious tendency to gravitate toward father-son relationships and the aging process in his writing. He then reveals that he “believes that anything can trigger a poem at any point in time.” Finally, Daniel touches on his success with flash fiction, his experience with rejection, the poets who inspire him, and his future writing projects. You can access Daniel’s pieces in Issue 18 of Superstition Review. Today we are pleased to feature author J. Malcolm Garcia as our Authors Talk series contributor. J Malcolm discusses how he finds inspiration for his writing from the people he encounters during his travels. He reminds us that inspiration can be found anywhere and that the moments that change a person’s life are worth telling even when their life is no longer news-worthy. You can read J Malcolm’s nonfiction story in Superstition Review Issue 9. You can also visit his website to learn more about him and his writing. J. Malcolm Garcia is a freelance writer and author of The Khaarijee: A Chronicle of Friendship and War in Kabul and What Wars Leave Behind: The Faceless and the Forgotten. He is a recipient of the Studs Terkel Prize for writing about the working classes and the Sigma Delta Chi Award for excellence in journalism. His work has been anthologized in Best American Essays, Best American Travel Writing and Best American Nonrequired Reading. Flash fiction is the belle of the ball, the flavor of the moment, the soup of the day and apparently well on its way to mainstream acceptance as a separate and unique form of writing. Recent articles in mainstream publications like O Magazine and MacLean’s had articles and pieces of flash as well, most literary journals now have separate submission categories for flash submissions and there are more and more flash only journals out there now. You can even earn a PhD in flash from the University of Chester in the UK. I mean Flash Fiction now even has its own day – just in case you missed it – June 22 demands a red circle on your calendar in 2014. What exactly one is supposed to do on this day I’m not sure, maybe read a piece of flash? With so much attention coming flash fiction’s way, it made me think – did Juliette hit it on the head when she said what she said about roses or does that only apply to flowers? Huh? Well what is it that you are submitting – flash fiction, postcard fiction, sudden fiction, short-short fiction, micro fiction, palm of the hand story, vignette, or a I was going to say prose poem but then things would get really out of control. Vignette is often used as an example of a piece of flash fiction done wrong so we can knock that off the list as well; leave it for the playwrights. However, that still leaves about half a dozen names in a writer’s jargon. Who cares? If everyone is talking about the same type of writing then does it really matter if we call it something different as long as we are talking about the same thing? I guess Juliette was right after all. Or was she? For example, when someone passes me a piece of short-short fiction I expect it to have the same basic structural components as a longer piece of fiction, exposition, conflict and resolution, but there will be a greater need for me to assume or hypothesize in order to build the narrative arch into a whole in my mind. Calling that short-short fiction makes sense after all it is a short story condensed into a shorter form, which asks for a little presuming, by the reader. But I don’t see the flash. The piece is asking me to do something but I don’t have to; there isn’t an uncontrolled neuron flash in my mind if I don’t put my mind to it. T his is what flash fiction should do, it should present text based on previously constructed mental associations in the reader’s mind in order to create a gestalt piece of writing which comes alive inside of the reader’s mind. An inattentive, transient license – “Check it” – high-pitched, estrogenic sound awkwardly steamed from thick, too-big lips covering whimsical precarious tan teeth. Mirrored sunglasses sterilize eyes, plunging transgressor back to fatigued, faded skin, unkempt hair – a mind of questions, comments, demands, justifications – stayed verbally, exposed physically – “Is there a problem?” Pigments, parchments, binding, images relapse then release ribbed steel, scuffed plastic, relabeled boxes reskinned with tape, twine, and plastic that meld into a horizontal borough in motion, eclectic and naïve to the pigment of deities. 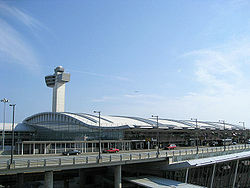 That’s how a piece of flash fiction about flying into JFK for the first time would look to me. Yes, now we’ve gotten personal and now you know why I don’t want to let short-short fiction get all the good names, regardless of Juliette and her rose. Each week we will be featuring one of our many talented interns here at Superstition Review. 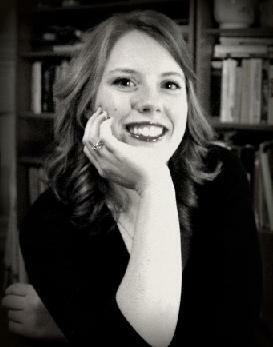 Caitlin Demo is a Nonfiction editor at Superstition Review and a senior at Arizona State University. She will be graduating in May with a major in Creative Writing (with a specialization in Fiction) and two minors in French and Political Science. She is hoping to be accepted into the MFA program at Arizona State and then to escape the heat of Arizona summers. Caitlin has lived most of her life in Arizona, but the allure of big city life has been calling her name. Living in the beautiful San Francisco bay or the bustling streets of New York City has been a constant dream of hers. After school, Caitlin is packing her bags and plans to become a well-seasoned traveler, especially abroad. Caitlin’s intimacy with literary magazines and the world of short fiction has been instructed both at Arizona State and particularly at Superstition Review. She has limited knowledge about individual magazines, but through these two avenues she has come to realize that it is a wide and ever-expanding field. Her interest in writing is mainly focused around prose, but in reading she is drawn to flash fiction and poetry. If she had to live the rest of her life with only a handful of books, she would need Augusten Burroughs’ memoirs, Jane Austen’s collected works, Hemingway’s short stories, Fitzgerald’s novels and Allen Ginsberg’s poetry. This is her first semester with Superstition Review, but she looks forward to plunging further into the literary publishing world. She’ll be the girl in high heels.